You don’t even have to get out of your car! On Friday, Nov. 9th, from 7am to 2pm volunteers will be accepting your monetary and frozen turkey donations in Roseville. This is a great opportunity to help others in need in our community. Consider sharing the word by posting information on your social media, at your school, your office, church or just by chatting with friends and neighbors. 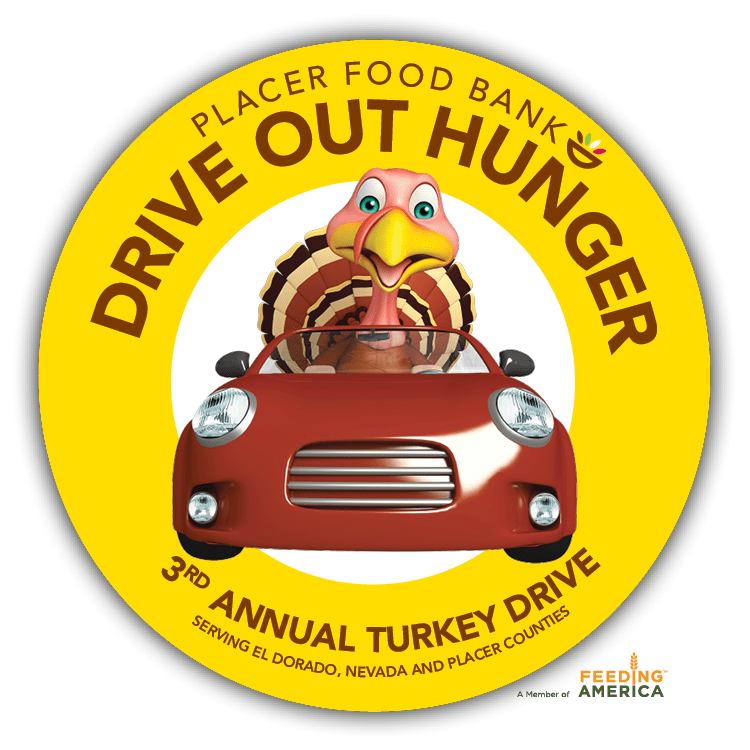 This year we’re hosting our 3rd annual Drive Out Hunger turkey drive at Roseville Toyota. We’re asking our community to donate so that local families don’t have to go without a Thanksgiving dinner due to lack of resources. 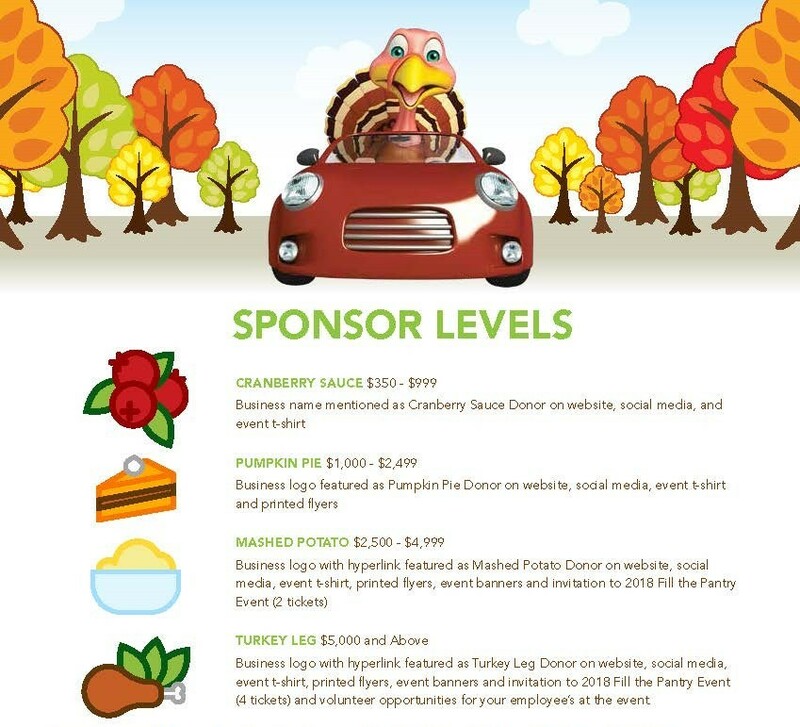 It’s easy to participate – on Friday, November 9th, just drop off a frozen turkey or a monetary donation at the Roseville Automall. 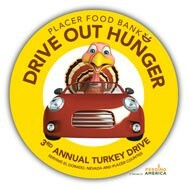 For every $100 donated, Placer Food Bank is able to purchase 10 turkeys! Last year your generosity helped provide 5,000 turkeys for families in need, and those went fast! This year we’re asking you to help us provide 6,000 turkeys to help even more of our neighbors in need, have a special Thanksgiving meal. If you’re not able to join us on the day of the event, you can still help reach the goal by donating online at https://secure.qgiv.com/for/dohunge or www.PlacerFoodBank.org. Monetary donations are very much appreciated and we will be able to purchase turkeys for families and soup kitchens in our community of El Dorado, Nevada and Placer Counties. For more information about how you can help with this event, please contact Diana Yruegas at 916-410-5230 or by emailing Diana@placerfoodbank.org. You’ll be helping us put the thanks into Thanksgiving for so very many families. For those who want to sponsor this event, find out fillable and printable sponsorship form by clicking HERE. We have several levels of sponsorships available as detailed below, something to fit everyone’s budget!